There was an official Star Wars console released this year. It was...not great. 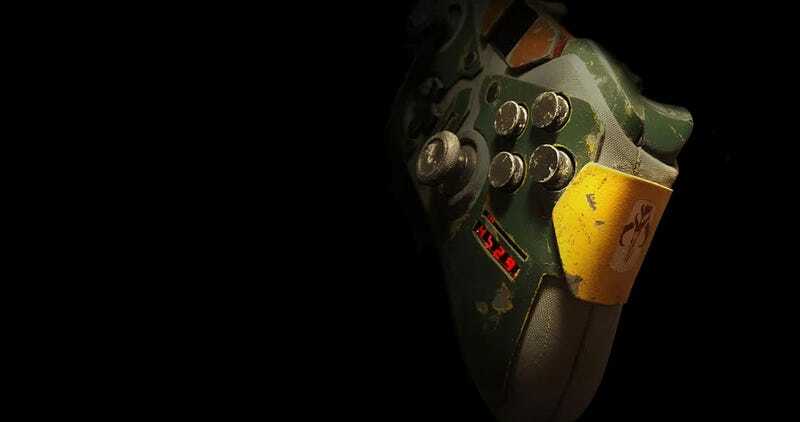 Much better is this unofficial, custom-made Boba Fett effort for the Xbox One by Devin Smith. It’s just...perfect. Not just the colours, but the wear & tear, digital counter and canvas “underwear” as well. This isn’t for general sale, but if you want to annoy Devin about it, you can check out more of his work here.